Tucked away in the basement level of a nondescript apartment building, the Shanghai Propaganda Poster Museum is a remarkable private museum dedicated to documenting the collective spirit of Chinese communism as depicted on thousands upon thousands of striking posters in the years since the 1949 establishment of the People's Republic. 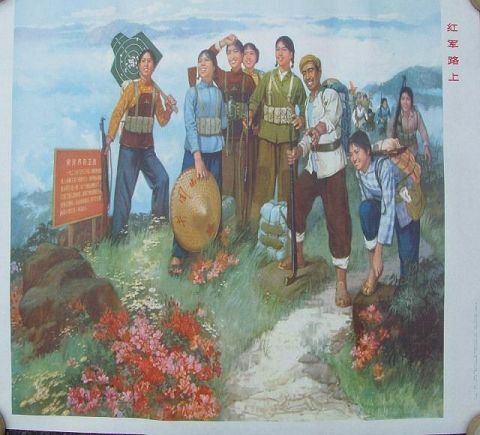 A labor of love, the museum was founded by Yang Pei Ming, who grew concerned that both the art of the posters and the complicated history that they document were in danger of disappearing in a China that has increasingly embraced consumer capitalist culture since the death of Mao Zedong in 1976. On the south bank of the Suzhou River in Zhabei District, there is the most famous "community of artists in Shanghai", No. 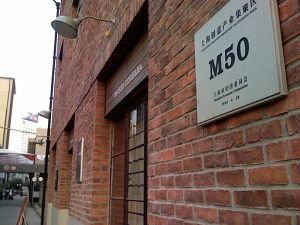 50 Moganshan Road (Mò gān shān lù 50 hà0 莫干山路50号). The address was once a factory which belonged to a famous businessman back in the 1930s. The workshops and warehouses there were used for producing silk and calico. Since then, buildings with different uses and features were continuously raised on this 41 thousand square meters area and well preserved till now. 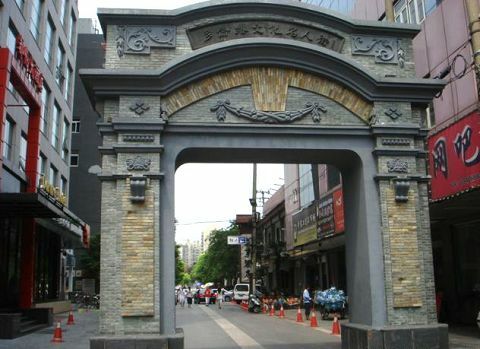 Duolun Road (duō lún lù 多伦路) (formerly named Doulean Road transliteration) is a little street in Shanghai, north of the Sichuanbei Road Trade Area, and south of Lu Xun Park (lǔ xùn gōng yuán 鲁迅公园) and Hongkou Football Field (hóng kǒu zú qiú chǎng 虹口足球场), with its back to the Inner Ring Viaduct and Jewel Light Track. The length of it is only about half a mile. The street is both narrow and short, and is also winding and deep and quiet, edged by little buildings of various styles, row upon row. Through in the maps it can hardly be found, it's a major scene in the history of literature of modern times. The French Concession (shàng hǎi fǎ zūjiè 上海法租界) was the foreign concession of France in Shanghai (shàng hǎi 上海), China. Established in 1849, the concession was progressively expanded in the late 19th and early 20th centuries. The concession came to an end in 1943. 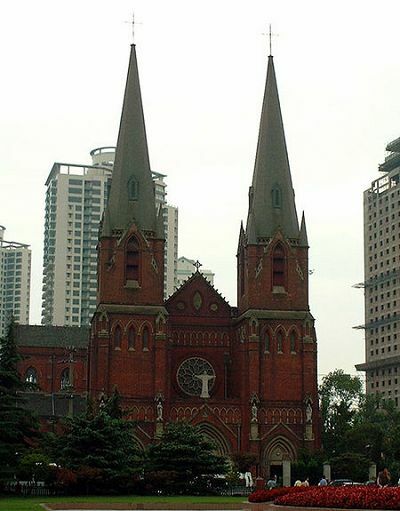 The area covered by the former French Concession was, for much of the 20th century, the premier residential and retail districts of Shanghai, and was also the centre of Catholicism in Shanghai. Despite rampant re-development over the last few decades, the area retains a distinct character, and is popular with tourists. 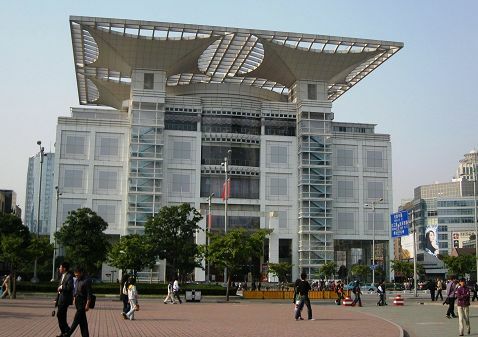 If you are awed by the incredible growth and immensity of the city of Shanghai then you should find the Shanghai Urban Planning Exhibition Hall an interesting place to learn more.